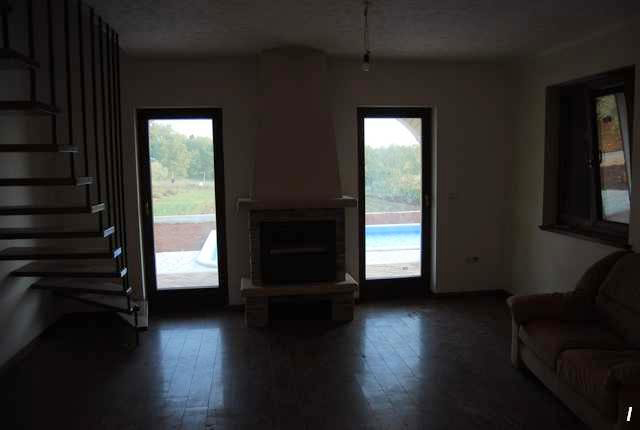 Ground floor consists of 2bedrooms, 2 bathrooms, , spacious living room with fireplace, kitchen with dinning area, covered terrace with panoramic view, utility and washing room, swimming pool 24m2. 1st floor consists of 1 bedroom and 1 bathroom, and terrace. 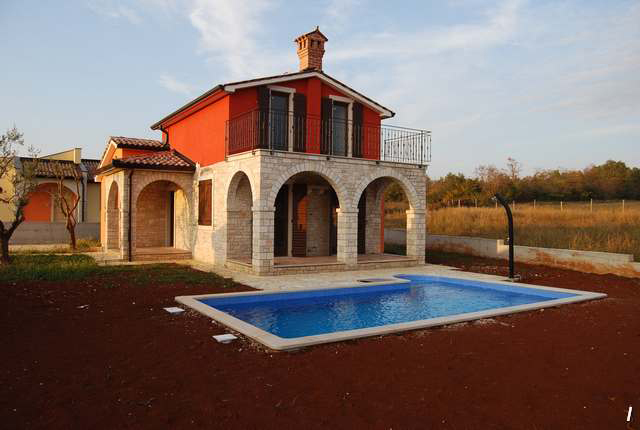 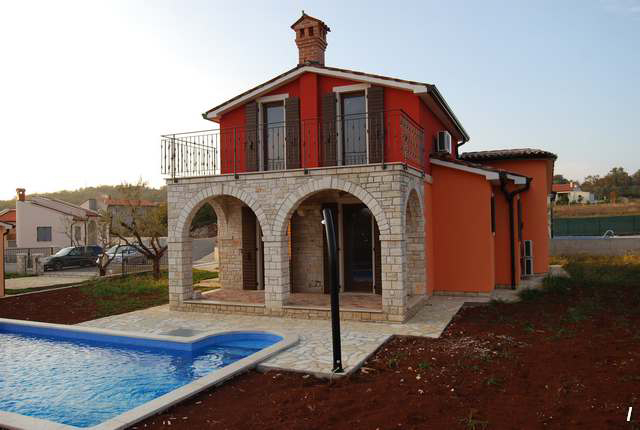 Plot, The plot is 600 m2 which provides nice landscaped garden with automatic irrigation system. 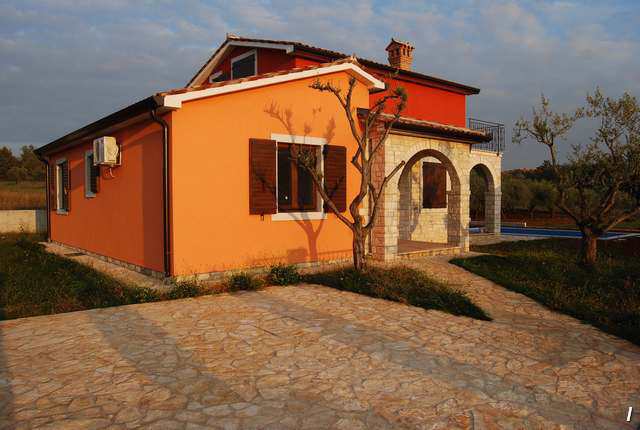 The major resort Porec is only 5 minutes drive which provides all the shops, banks, supermarkets, restaurants.